Millions of people from coast to coast rely on well water filtration systems. Whereas the vast majority of us get our water from regularly monitored public water systems, according to the Centers for Disease Control and Prevention, more than 15 million U.S. households rely on water that comes from private, ground-water wells. The significance of this fact becomes readily apparent when you consider that well water is not regularly tested by public officials and it is not subject to federally mandated drinking water health parameters. Well water may as well be accompanied by the phrase caveat emptor, which is Latin for “let the buyer beware.” Though some localities do enforce well-water quality standards, by and large, it is up to each individual household that uses a well to take all of the necessary precautionary measures. 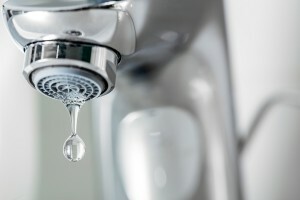 According to the U.S. Environmental Protection Agency, the risk of your well water being contaminated largely depends on the quality of your well itself. The well’s age, how well it was originally built, and how rigorously you maintain it are all contributing variables. Another relevant factor is the proximity of your well to human activities aboveground that can potentially send pollution into your local water aquifer. Animal feedlots, mining operations, landfills, hazardous waste sites, are industrial manufacturing facilities are just some of the causes of groundwater contamination. Polluted groundwater, which can easily wind up inside of a residential well, is a clear and present threat to human health if it is consumed. It can contain microorganisms like bacteria, viruses, and parasites, heavy metals like lead, chromium, cadmium, and selenium, and nitrate-containing fertilizers and pesticides. The only way to truly protect yourself against well-water contaminants like these is to install a well water filtration system. Your local authorized RainSoft dealer will be pleased to show you how any one of the several RainSoft well water filtration systems can provide you the safe, high-quality water you need. Contact your local authorized RainSoft dealer today.